Bob Adolfson grew up in Spokane and attended Gonzaga Prep and Spokane Falls Community College. He then attended WSU’s School of Restaurant and Hospitality Services at Seattle University. Bob’s career started with Sheraton Hotels in Spokane followed by the Seattle Sheraton. He held positions of Banquet Manager, Catering Director and Food & Beverage Director. 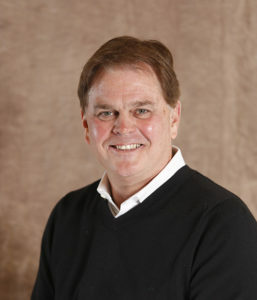 Later on, he moved to Aramark Corporation where he spent 16 years in a variety of lines of business – Convention Center, Major League Baseball, National Parks, and finally as National VP of Sales for the Sports and Entertainment division. Bob and his wife, Kimberly, purchased the Glover Mansion in 2004 and started Red Rock Catering in 2009. The company has grown to presently owning and/or managing five facilities in the Spokane area. Bob and Kimberly met at the Seattle Sheraton and have been married for 29 years. 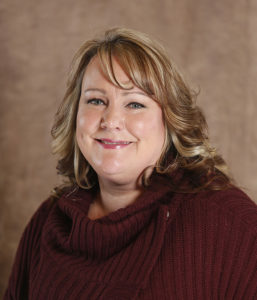 Kimberly is an Associate Professor at Cal State Fresno. They have two grown children – Meagan, who works and lives with her husband, Nick, in Washington DC and Kyle, who is finishing up his senior year at EWU before heading to South Korea to pursue a teaching career. 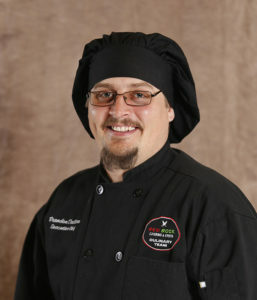 Executive Chef, Brandon Dallara, has been with Red Rock Catering from the beginning. “When Bob and Kim [Adolfson] bought the Glover Mansion in 2004, I came with the furniture!” according to Brandon. But his love of cooking began long before that when he was ten years old watching his father, Chef Steve Dallara, cook. Chef Brandon studied Culinary Arts at Spokane Community College and has plied his trade not only for Red Rock Catering, but on opening teams for many local restaurants and as a personal chef. Steve Martin, Kareem Abdul Jabbar, and Michelle Obama are a few notables who have enjoyed Brandon’s cooking. Brandon was born in California and raised in Spokane where he lives with his wife, Karen. After all the planning and anticipation, after all of the food is cooked, the success of every event depends on the execution and service—that’s where Ellery Ena comes in. Managing multiple teams of captains, waiters, and event set up crews proves Ellery’s ability to lead a team. But at the end of the day she—and her team—know that the success of a business meeting, the memories of a bride, or the fun of a family reunion is dependent on friendly efficient service delivered professionally and on time. 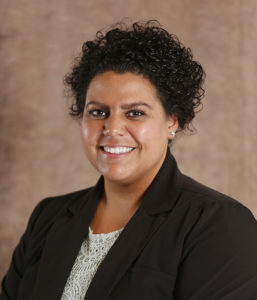 In her spare time, Ellery enjoys traveling to new places, participating in sports, enjoying the outdoors, and other activities that keeps her adrenaline up like managing and operating events. Jodie Laib was born and raised in Spokane. She has three boys, ages 25, 21 and 15, which keeps her busy and on her toes. She’s also a fraternal twin, and her twin sister lives in Dallas, TX. She does like to get down to see her as often as possible. Her professional career includes being a family law paralegal, a service writer at a car dealership, and now event sales. She has been in event sales for about 10 years, and she loves this career path because it gives her a chance to interact with people. It is great to be able to give someone the wedding or event of their dreams, to be able to forge friendships that last long after the event has ended. In her spare time, she enjoys time with her boys, travel, dinner with friends, wine tasting, and long days on the water.